Damen delivered a turn key dredging package to the Pacific Port of Corinto. 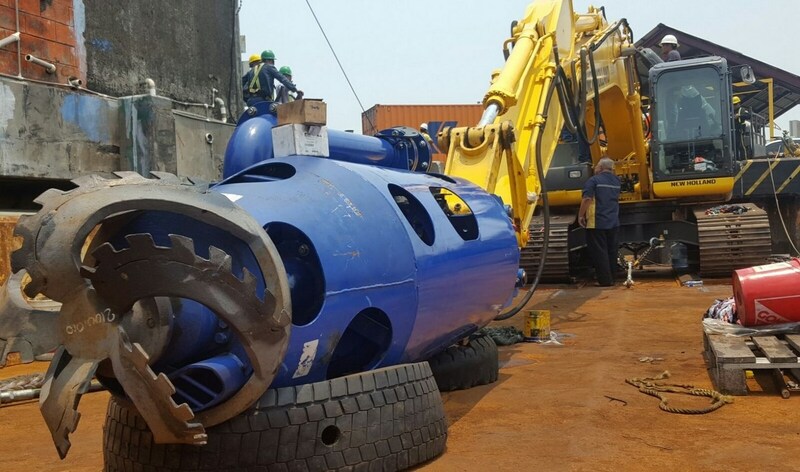 This package includes the DOP150 with cutterunit, hydraulic hoses, as well as discharge piping for the dredged mixture. The DOP150 has started on a capital dredging project. The municipality of Corinto has decided on the construction of a wave barrier, protecting the town of Corinto against the wave intrusion. The DOP will mine sand near shore, to a max dredging depth of 6 m. The dredged mixture will be pumped into geotubes. Together, these geotubes will create an artificial lagoon.